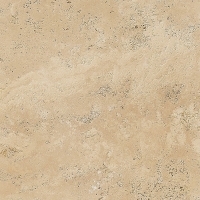 Brescia travertine is a tumbled random pattern tile. 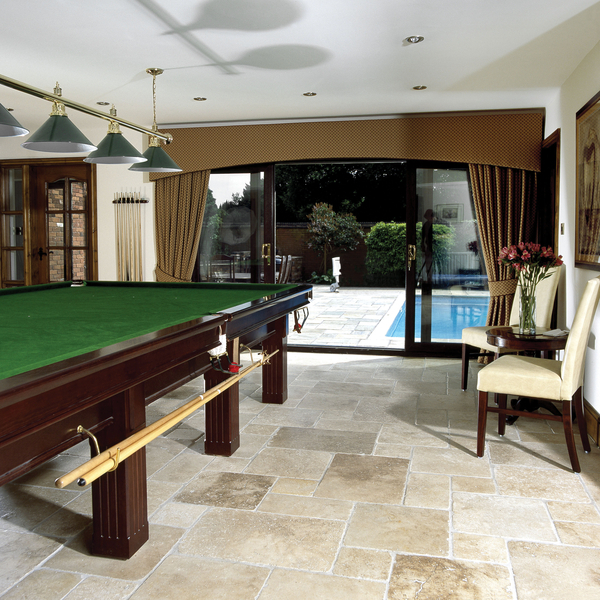 Tumbled rustic style travertine tile with mottled coffee and beige colours, occasional light brown diagonal veins from Stonell, importer of quality travertine floor tiles and wall tiles. 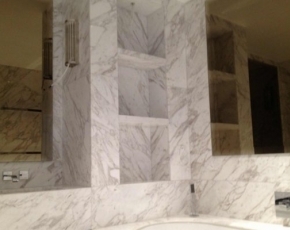 Back to our our full showroom list of stone tiles.